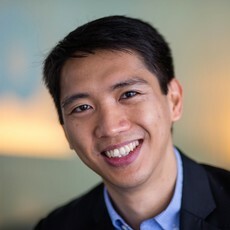 Dr. Ian Salas is an applied microeconomist whose work in research and practice lies at the intersection of economics with demography, development, gender, and public health. He joined the faculty of the Johns Hopkins Bloomberg School of Public Health in July 2015 as an Assistant Scientist at the Department of Population, Family and Reproductive Health and a Research Economist at the Bill & Melinda Gates Institute for Population and Reproductive Health. Prior to this, he was a David E. Bell Research Fellow at the Center for Population and Development Studies at Harvard University. He is currently involved in several initiatives of the Gates Institute as a co-investigator in projects related to monitoring the demographic dividend, promoting family planning in urban poor settings in Africa and Asia, and devising tools for tracking the performance of large-scale reproductive health projects. He received his Ph.D. in Economics in 2013 from the University of California, Irvine with a specialization in development and labor economics. He has extensive expertise in estimating economic lifecycles using the National Transfer Accounts (NTA) framework, a building block in determining the strength of the demographic dividend that a developing country can reap. He has been conducting research on the economics and financing of family planning, including the causal identification of the fertility and health effects of having a weak supply chain system for contraceptives. This work has won for him the 2014 Dorothy S. Thomas Award for best dissertation paper from the Population Association of America (PAA) and the 2015 Take Stock Hero Award from the Reproductive Health Supplies Coalition (RHSC). Cruz, CJP, Salas, JMIS, and Cruz, GT. “Fertility Preferences in the Philippines,” Chapter 18 in Family demography in Asia: A comparative analysis of fertility preferences, edited by Stuart Gietel-Basten, John Casterline, and Minja Kim Choe, 2018, Edward Elgar. He, P, Liu, L, Salas, JMIS, Guo, C, Cheng, Y, Chen, G, and Zheng, X. “Prenatal malnutrition and adult cognitive impairment: A natural experiment from the 1959-1961 Chinese Famine,” British Journal of Nutrition 120 (2), 2018, pp. 198-203. Abrigo, MRM, Racelis, RH, Salas, JMIS, and Herrin, AN. “Decomposing economic gains from population age structure transition in the Philippines,” The Journal of the Economics of Ageing 8, 2016, pp. 19-27. Racelis, RH, Abrigo, MRM, and Salas, JMIS. “Financing consumption over the lifecycle and overseas workers’ remittances: Findings from the 1999 and 2007 Philippine National Transfer Accounts,” The Journal of the Economics of Ageing 5, 2015, pp. 69-78. Neumark, DB, Salas, JMIS, and Wascher, WL. “More on recent evidence on the effects of minimum wages in the United States,” IZA Journal of Labor Policy 3:24, 2014, pp. 1-26.